They told police their parents were named Michael and Sarah. The children -– ages 10, 8, and 6 –- had walked nearly two miles before they were found, police said. They said their parents had driven them to a wooded area where they often went camping. While they played in the woods, their parents drove off in their truck, leaving only Michael’s shoes, police said. 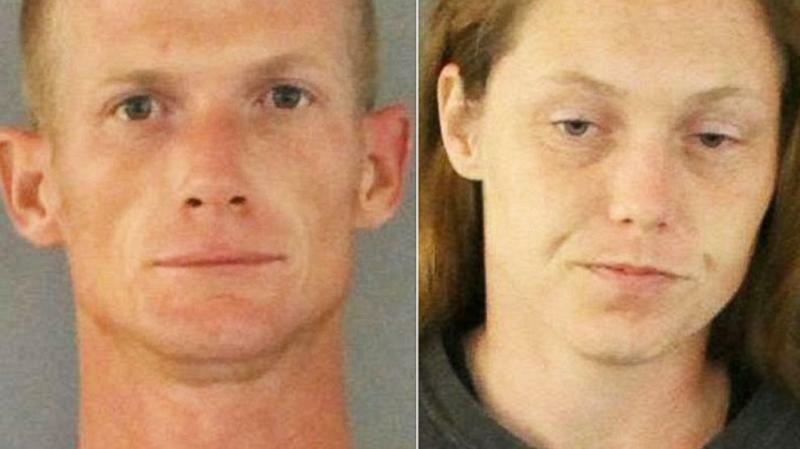 The children were sent to Florida’s Department of Children and Families, authorities said. Following the couple's arrest, police officers also found a baggie of crystal meth in the father's pocket, authorities said. The couple has been held without bond. Debbie Bowe, a spokesman for the Charlotte County Sherriff’s office, would not say whether the couple confessed to abandoning their children.